The U.S. unemployment rate dipped to 3.8 percent in February, one of the lowest figures in decades. Having a low supply of workers and a high demand for talent is great if you’re looking for a job. If you’re running a company, however, the situation looks a lot different. Widespread talent shortages flip the recruiting script. When finding and hiring talent is hard, companies (rather than candidates) have to make themselves as attractive as possible. Qualified job seekers have their choice of where to work, so employers are forced to compete among each other to fill their ranks. 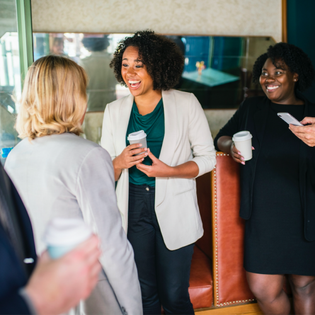 Employee advocates are one of the best recruiting resources you have because job seekers see them as a more authentic source of information about your company than executives or hiring managers. So encourage your employees to talk about work in their personal lives and to get active online. Incentivizing employees to share on social media or at in-person professional events will get prospective talent thinking about your company. Show employees how sharing relevant content about your company on social media benefits them, from helping them build their own personal brands to boosting awareness of the company to potentially netting them some awesome new co-workers. Just be sure to educate your team on what’s acceptable to share on social media and what isn’t. A presentation your company made at an industry workshop or photos from your team’s Pi Day celebration? Absolutely. Complaints or private information about clients? Absolutely not. 2. Focus on first impressions. If a candidate came in for an interview and didn’t know the answers to basic questions about your company, would you be impressed? Likely not. Similarly, a candidate won’t be wowed by you and your team if you’re not prepared. Insist that everyone involved in an interview thoroughly review the candidate’s résumé beforehand. That context will enable interviewers to ask open-ended questions that will encourage the candidate to share real-life examples instead of having to rehash qualifications and work experience your team should already know about. Use the interview not only to learn about the candidate, but also to educate him or her about what makes your company great. If you ask candidates what benefits are most important to them, you can discuss which of those perks your company offers. If a candidate expresses interest in fitness, point out your standing desks, local gym discounts, and a company culture that focuses on employee well-being. Tailoring your message to the candidate in front of you will help you put your best foot forward. 3. Pile on the perks. Benefits packages can either attract or deflect top talent. One much-appreciated benefit is simply giving employees more freedom and autonomy, an idea echoed by founder and CEO of workitdaily.com, J.T. O’Donnell. “I predict the hottest trend in employee benefits for 2019 will be focused on shaping how employees achieve the work-life balance they want and deserve,” he says. Most people are looking for a benefits package that’s better than what they currently receive, especially if salary remains roughly the same. Research shows that better health insurance is the most desirable benefit. If you can afford to do so, consider ways you can improve your health insurance options. For instance, if you offer a high-deductible plan, add a tax-advantaged health savings account to the mix so employees can more easily cover basic medical costs. After health insurance, employees are looking for perks like flexible schedules, more time off, and work-from-home options. Rather than maintaining a “use it or lose it” vacation policy, consider switching to an unlimited PTO program. Your employees will likely take about the same amount of time off as they would without “unlimited” in the policy title, but they will appreciate the perk more. In a tight labor market, you have to think strategically to capture the strongest candidates. no matter how low the unemployment rate dips. Strive to be among that number so you can land the talent your business needs to succeed.